A pair of copper plate engravings in full original hand colour; painted, engraved and also published by J. F. Miller and issued in his Cimelia Physica, in London in 1776. 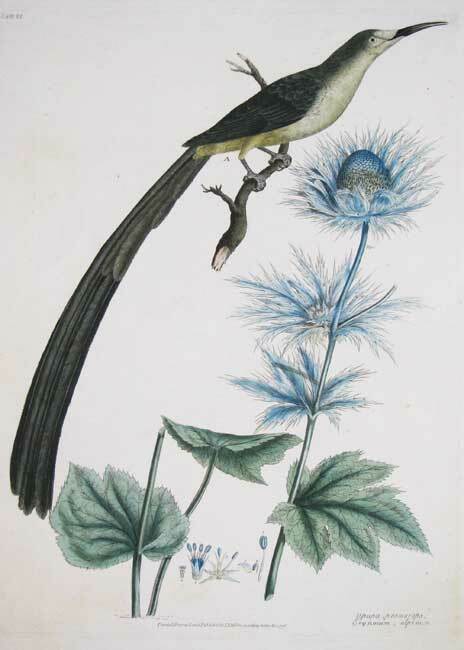 The full title of the work is: Cimelia Physica, Figures of Rare and Curious Quadrupeds, Birds &c together with several of the most Elegant Plants. J. F. Miller was a close friend of the great Eighteenth Century botanist and explorer, Joseph Banks, and it is through this association that he travelled to Australia with Cook on board The Endeavour between 1768 and 1771. The voyage went initially across to Brazil and then onwards to Botany Bay via Tahiti. We can only imagine how exciting it was to witness for the first times the flora and fauna of the Southern Hemisphere and Miller's beautiful engravings testify to the huge interest in natural history at the time. 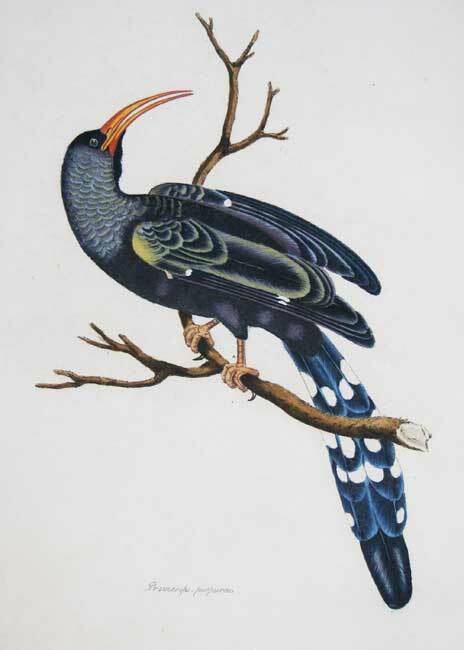 His original drawings are now housed in The Natural History Museum.